We specialize in yacht charters from the Peloponnisos and can offer boats throughout the eastern Mediterranean. We have a great range of sailing yachts and motor boats available for bareboat charter and can also offer skippered and crewed charters. Many of our boats can be hired by the day rather than for a full weeks charter. Please contact us directly for our great value late booking deals from the Peloponnisos. Katakolon. Go bow or stern to the quay either side of the central quay or alongside the quay itself. There is good shelter, the best being found to the south of the quay. Water is available on the quay and fuel can be delivered from the town. Most provisions are available but better shopping can be found at Pirgos. There are plenty of tavernas to choose from. This is the best place to leave a yacht and go to Olympia, about 25 miles away. Further to the south is Kiparissia. There is little shelter from winds from the NW-W and Kiparissia should be avoided in theses conditions. Go bow or stern to the quayed section of the breakwater or anchor off. 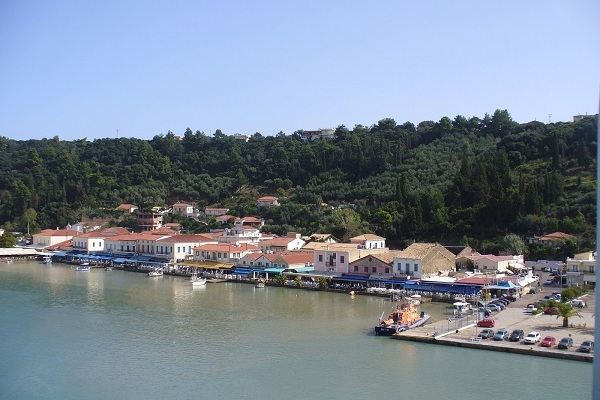 There is water from the taverna near the quay and fuel can be obtained in the town. 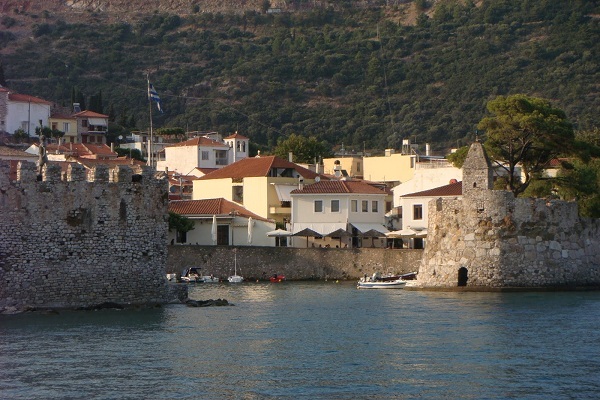 All provisions can be obtained here and there are waterfront tavernas and more can be found in the town. The town and the surrounding countryside are most attractive and Kiparissia is well worth a visit if conditions allow. Thirty two miles to the west of Kiparissia lie the islands of Arpia and Stamfani. There is a bay on the south side of Arpia where yachts can anchor and water is available from wells ashore. Yachts should not visit or remain in the waters around these islands in any kind of unsettled weather, as seas are very turbulent. Marathoupolis is on the mainland. It is a small harbour, unsuitable for yachts above 10m. Entry is not advised in strong NW winds and even moderate winds from this direction cause swell and make the entrance difficult. Yachts that do get in should go bows to the mole but it is likely to be crowded with fishing boat. Water and limited provisions can be found in the village. The view across to Nisos Proti is very attractive and almost worth the visit alone. Pilos lies further to the south. There is a purpose built yacht marina here with lazy lines. Water is available in the marina or on the main pier. Fuel can be delivered to the pier and the marina. All provisions can be obtained and there is a good choice of tavernas both around the marina and in the town. Pilos was constructed by the French following the battle of Navarinon which saw the defeat and destruction of Turkish sea power. 5 miles to the south of Pilos is Methoni. Yachts can anchor of with good holding in mud or sand. There is good shelter from winds from the NW. Water is available on the breakwater. 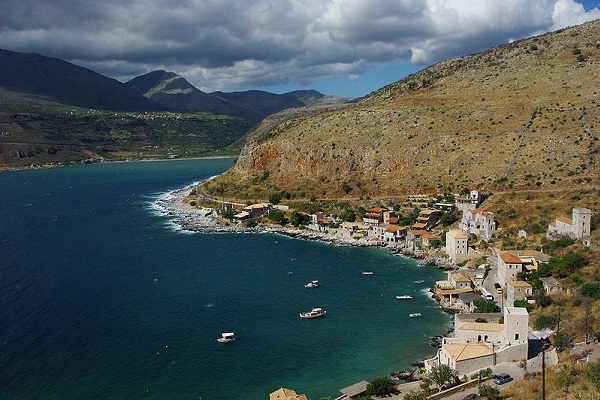 Most provisions and fuel ca be obtained in there village and there are tavernas both on the beach and in the town. A large Venetian fort guards the harbour and in Venetian times Methoni was renowned for its wine and pork. The hinterland is still intensively cultivated. To the east is Finakounda. Yacht can go bow to the end of the breakwater or anchor off. Provisions can be obtained ashore and there are numerous tavernas catering in some part to the watersports centre. The setting of the village is wonderful, built around the beach and under the rocky crop. 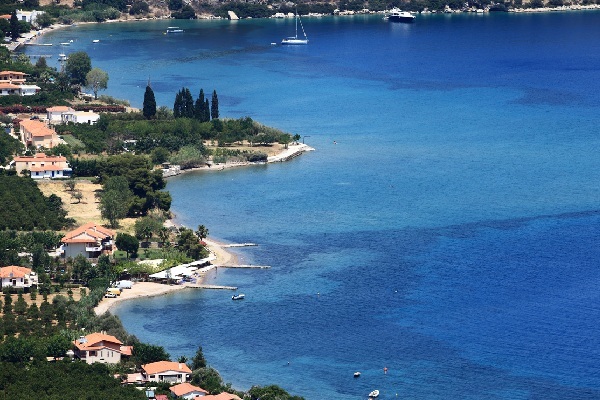 It is possible for a yacht to anchor in the harbour at Koroni. The bottom is a mix of mud, sand and weed with the odd large boulder. Not everywhere provides good holding. Water is not readily available but it may be possible to get a delivery by tanker. There is good shopping and tavernas in the town. Several off the tavernas specialise in charcoal grilled octopus. The town itself is attractive, built on a steep slope and partially within the Venetian fort. Petalidhion is a small, attractive bay in the NW of the gulf of Messiniakos. There is good shelter except with winds from the NE or E. Fuel, water and most provisions are available in the village, which itself is attractive, set on the edge of the sandy beach. Kalamata harbour provides excellent all round shelter. Yachts can go alongside the western quay or use the adjacent marina. Water and fuel are readily available on the quay. There is excellent shopping for all provisions with a supermarket within easy walking distance. There are numerous tavernas of a high quality, look out for fresh fish and char grilled octopus. The large bay of Kitrou provides good shelter from the prevailing southerly winds. Yachts can anchor off the beach where convenient. The slopes around the bay are cultivated with olives and citrus trees. With the whitewashed villas dotted between them this is a very attractive spot. There are a few tavernas ashore but little else in the way of facilities. Limeni is a large bay approximately 20 miles south of Kitrou. Although it is open to the west yachts will generally have no problems finding shelter here during the summer months. 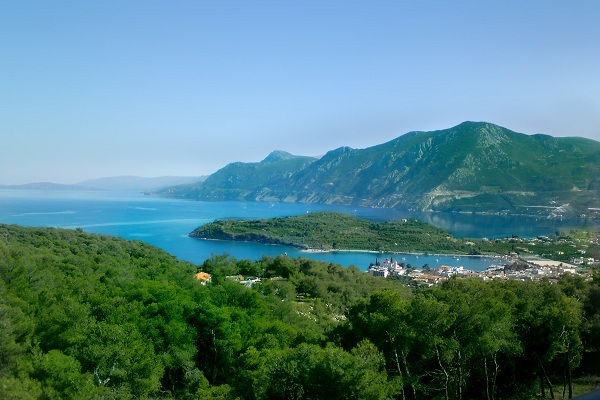 Yachts have a choice of two anchorages at Karavostasi in the NE of the bay or in the south at Limeni. There are tavernas ashore serving simple fare and the bays setting is very attractive and well worth a visit. Sail around the headland of Matapan and you arrive in the gulf of Lakonikos. Asomato and Vathi are the first two inlets and are suitable anchorages in calm weather. Better shelter is to be found a little further north at Kayio. With winds from the W-SW yachts should anchor in the cove in the south of the bay. The holding is not good in hard sand with weed and rocks and care must be taken. There are alternative anchorages in the east and north of the bay and wind direction will dictate which is the most suitable. Facilities are limited, water is available and there are a few tavernas. It is sometimes possible to obtain fresh fruit and vegetables from a van that calls at the bay. Yithion lies in the NW corner of the gulf. Yachts can go bow or stern to the mole where there is good holding in mud. Water can be found on the quay and fuel can be delivered. All provisions can be obtained in the town and there are some good fish restaurants here. Plitra lies half way down the eastern side of the gulf. Yachts can go bow or stern to the outer end of the mole. Holding is not great on the rocky bottom and a trip line should be used on the anchor. Shelter is good in all but southerlies. Water may be available from local sources but the nearest provisions are in a village some 4km away. There are though several tavernas around the shore. The sandy beaches are good and this is a good place for snorkelling. The island of Kithera and Andikathera lie to the SW of the gulf and make up an island bridge between the Peloponnisos and Crete further to the south. Pelagia is the ferry port for the island. Winds from the NE make the harbour untenable. Kapsali is on the south coast of Kithera. Yachts should go to the western cove and go stern to or alongside the outer half of the quay. Seek the permission of the port police to berth here. The bottom is a mix of sand rock and weed and once the anchor is in provides reasonable holding. Water is available but limited provisions can be obtained around the harbour with more available in the chora. The harbour setting, the chora and the fort all combine to make this an attractive place to visit. The prevailing winds in the summer months are from the west. It will blow from midday well into the evening. It may reach force 6 in July and August. In the spring and autumn winds will come from the east or west dependent on conditions in the adjacent Aegean or Ionian. The gulf of Patras is prone to thunderstorms in spring and autumn with attendant waterspouts. There is little problem with gusts of high land, as the mountains tend to act like a funnel. The exception is in the vicinity of Corinth where there are some violent gusts and care is needed. Killini is on the Peloponnisos at the western end of the gulf of Patras. Yacht can go bow or stern to the western part of the mole avoiding the underwater ballasting that extends out in places. The bottom is mud and provides good holding. Water on the quay and fuel and most provisions can be found in the village. There are several waterfront tavernas. In Venetian times the port sat on the trade route around the Peloponnisos and was a busy place. The restored fort, built in 1220, is worth a visit for the superb views. Mesolongion is on mainland Greece. Yachts sail through a dredged canal some 2 miles long to reach the harbour. Berth bow or stern or go alongside the northern quay. Alternatively anchor in the west of the harbour. The bottom is mud and provides good holding. Mesolongion provides excellent shelter from all winds. Water is available on the quay and the hotel in the SE of the harbour has showers. This is where Byron died but there is little to mark his passing save a single statue and a small museum. Patras is on the Peloponnisos. Care is needed on entry with winds from the west creating a confused sea of the breakwater. Also watch out for large ferries entering and leaving the harbour. Yachts should go bow or stern to or alongside the northern side of the central mole. There is good holding in mud. Water is available on the quay and fuel can be delivered. Alternatively there is a small marina a little further north that it is sometimes possible to find a berth in. 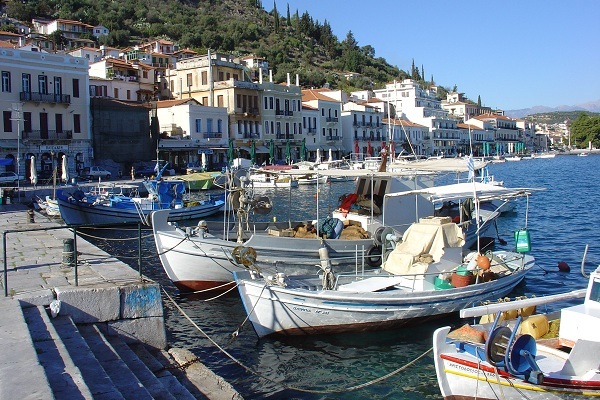 All provisions can be obtained and there are good tavernas, some of them offering fresh fish. 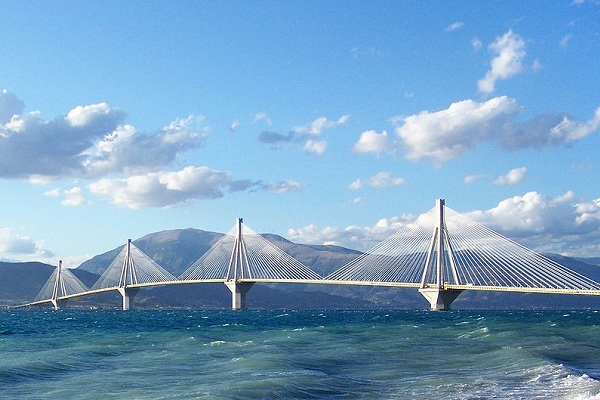 Patras is the largest city on the Peloponnisos and the third largest in Greece. It is a busy place with a slightly grubby feel to it. This is partly offset by its vibrant atmosphere. The region provides the excellent Demestica wine and a visit to the Achaia-Klaus factory that produces it is worthwhile. Navpaktos lies on mainland Greece and is the first harbour in the Gulf of Corinth. It dates from medieval times and is very well preserved. But it is tiny and unsuitable for large yachts, once inside there is very little room for manoeuvre and the yacht should be prepared prior to entry. Yachts should go bow or stern to the southern quay or the western quay near to the fuel berth or anywhere there is room, in July and August yachts may not be able to get in here. Water and fuel are available on the quay. All provisions can be obtained and there are plenty of tavernas to choose from. The harbour is lined with plain trees and sits beneath a Venetian fort. This should be up near the top of the must visit lists. The only drawback is the noise levels whether from the traffic during the day or the disco music coming from the bars until the early hours of the morning. Nisos Trizonia is a small island just of mainland Greece. Yachts can anchor in the bay where there is good holding in mud and weed once through the weed. Alternatively yachts can use the marina in the north of the bay. Water and most provisions can be found in the village and the local tavernas serve food of a good quality. In addition Lizzie's offers showers, a laundry service and a book swap library. The surroundings are attractive with the cultivated land given over to olives and vines. Galaxidhi is on mainland Greece. Care is need on the approach of the reefs on the islands of Apsifia and Yeoryios and the one just to the east of the entrance to the harbour, a stone beacon marks the latter. Yachts can go bow or stern to taking care to avoid the underwater ballasting that protrudes in places. There is water on the quay and fuel can be delivered. Most provisions can be obtained and there is a good choice of tavernas around the waterfront and in the town. Another attractive setting opposite the pine covered slopes. Galaxidhi has not been developed to the extent of some other locations and still has a tranquil feel. This is a good place to visit ancient Delphi from. Itea is also on the mainland. 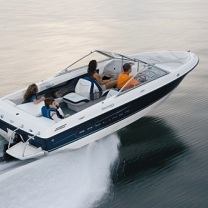 Yachts can go bow or stern to where convenient with laid moorings. The harbour provides good all round shelter. Water and electricity are available on the pontoons. Fuel can be delivered. All provisions can be obtained and there are plenty of tavernas to be found both on the waterfront and in the surrounding back street. Whilst the waterfront is pleasant the village has little to recommend it. Although it is a good spot for a visit to Delphi. Kiato is on the Peloponnisos. Yachts can go bow or stern to the mole but the depths at the end are 15m and it is better to go alongside. Water is available close to the quay and fuel can be delivered from the town. All provisions can be obtained and there are several tavernas on the waterfront. There are good beaches nearby and the surrounding countryside is attractive with citrus trees and vines. 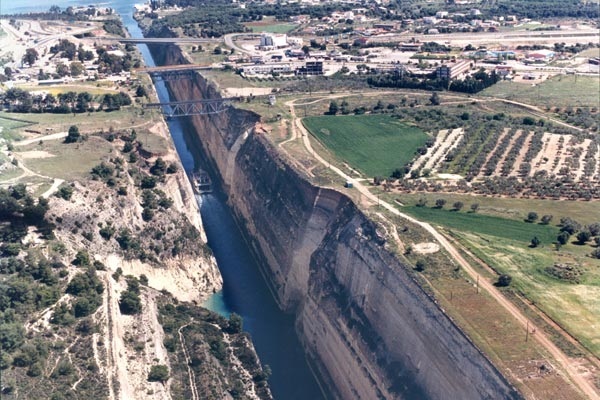 Corinth lies at the entrance to the canal of the same name. Care is needed with strong winds from the NE when severe gusts can be expected. Westerlies produce a swell but once inside the mole things calm down. Yachts should go to the yacht harbour and go bow or stern to. The bottom is mud and provides good holding. There is good all round shelter within the yacht harbour. Water is available close by and fuel can be delivered. All provisions can be obtained and there is a good choice of tavernas in the town.The city is modern and busy and has little to recommend it but a visit to the ruins of the old city on the plain is recommended. Finally the canal itself: It is 3.2 miles long and is one of the most expensive waterways in the world. The construction was originally undertaken by a French company but completed by the Greeks in 1893. Using the canal a yacht can cut over 100 miles of the distance between Athens, in the Aegean and the Ionian Sea to the west.